Apple, (s aapl) as it often does, once again last week changed the design of iPod nano, a music player that inspires debates and passions like none other. We all prefer one iPod nano design over the other. My favorite was the second generation nano, and I still carry it around. However, the sixth generation iPod nano became something of a cult favorite thanks to its square shape. It also inspired a cottage industry of sorts — accessories that turned it into a watch. It all started when designer Scott Wilson created the Tik-Tok strap that essentially turned the square-shaped iPod nano into a watch. The success of the project also put a spotlight on Kickstarter and its use as a platform for creating gadgets. Nano watches became somewhat of an obsession for many in Silicon Valley. Apple, too, offered up many watch interfaces, which stoked the fires of imagination and a whole slew of products followed. Many even dreamed up scenarios where Apple ushered a new world of wearable computing. 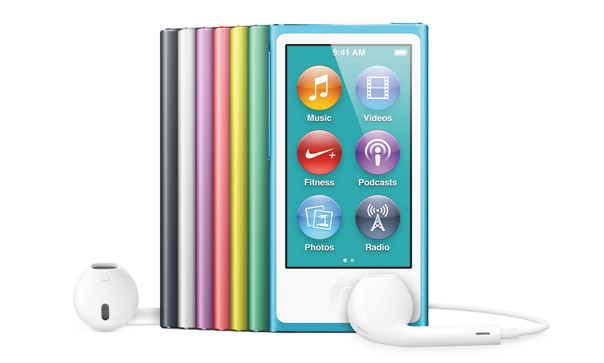 The release of the new seventh generation iPod nano now means curtains for the movement. Last week when I had a chance to appear on John Gruber’s The Talk Show podcast, our conversation turned to watches in general, and iPod nano in specific. I made it clear in no uncertain terms that while I celebrated the ingenuity of folks such as Wilson who created marvelous products, I didn’t much care for the iPod nano watches themselves. Actually I don’t really care for any digital watches. I am first and foremost, a lover of mechanical watches, lovingly crafted by hand and with meticulous care. And to be more specific, I love German-made watches, especially from some of the smaller brands. It is fairly easy to see time these days; from microwaves to mobile phones, time is always blinking at us only a glance away. For me, mechanical instruments of time are not just for telling time, but giving time a heartbeat. Perhaps that is why you won’t find me crying over the loss of iPod nano watches due to the new design. However, there is an upside to the introduction of the new design: They are now out of production and hence a rare commodity, which means they can command a decent after-market price, much like limited edition time-pieces that see their demand increase in direct proportion with their rarity. As for the seventh generation iPod nano itself, since it doesn’t have a network connection–either WiFi or Bluetooth–I don’t find it very interesting. The new iPod Touch – now that is something to write home about. Update: As a reader pointed out, iPod Nano does indeed have a Bluetooth connection and it makes is useful for music playback at the very least, but it is not that interesting to me. That said, error is regretted. The new ipod nano looks nice but is just a little ipod touch, so why shouldn’t you buy an ipod touch instead. But I need to admit that it’s better than the stupid previous generation. Apple missed a great opportunity to head into the smartwatch category like the Pebble. If you could have key information show on the display while paired with BT4.0 it would have been great. But as always apple redesigns something that didn’t require it and again creates planned obsolescence. Its all about Apple’s profits and not the consumers benefits. I’m fascinated with our attraction to mechanical clockwork. Digital timepieces are far more accurate, and nature never uses such precise/predictable movements. Sir Isaac Newton’s “clockwork universe” was exploded sometime in the 1980s. We made orreries to track the movement of planets and moons, but Sussman/Wisdom determined that planetary motion is chaotic by nature. There’s something deeply-rooted in wanting the world to work like clockwork. Manmade devices work that way, but nature’s machinery never works that way. Apple keeps wandering with their designs for the Nano. Perhaps they’ll go back to a tiny square in a year or two. Or maybe the Nano will eventually shift to a thin flexible film — something that could be wearable on a wrist. As a big fan of Sinn watches, I totally share your asssessment of mechanical watches and why we love them. May I ask which ones are your favorites? I am a Nomos man for now. I find their workmanship pretty amazing. I’ll be honest… I don’t see any reason why this new design can’t be turned into a watch. It’s not like there aren’t giant, chunky watches out there already. This look would just make things a bit more… sci fi. It’s slightly more difficult, though not impossible, since they got rid of the clip from the new nano. It would be rather inelegant especially compared to the square shape which is pretty well suited for the wrist. I doubt that Apple have given up on wearable devices. I think they have a better idea than the “watch” format. Picture a platform centered on reading glasses which you wear by looking over the top of 2 retina displays providing 3D without the aberration introduced with vertical and horizontal polarization and the requirement to wear glasses anyway. The “iGlasses” are a wireless peripheral to existing iOS devices, expanding, not obsoleting, existing devices. Nikon have developed a nano-fresnel flat lens allowing you to view such tiny screens placed less than an inch in front of the eye. Among a thousand other things, this is the perfect camera viewfinder. No washout. Johnny Ive can go nuts with this in design. Let’s hope the new Nano has a lot better moisture protection. I’ve been thru 4 already due to sweat damage simply clipped to my waistband – as per the User Manual instructions. Good idea. I think GPS could make the device a lot more useful for runners, considering that they talked up that part of the market. Yes The new Nano does have bluetooth. Maybe Apple eliminated a watch sized product so they can release a more sophisticated version in a year or so. Seem’s like a good market they took away and companies like pebble have proven the market viability to some extent. You are right – I stand corrected. It does have Bluetooth and well that makes it a little more interesting — could play well with my Jambox! The new nano has Bluetooth.